With the aim of raising awareness on the importance of breakfast to youth development, MILO brought two new faces on board to lead by example. College basketball prodigy Kiefer Ravena and rising cager Prince Carlos join professional athlete Chris Tiu in exemplifying the MILO brand of sportsmanship and wellness. As three of the most esteemed and accomplished alumni of the MILO sponsored Basketball Efficiency Scientific Training (BEST) Center program, Kiefer, Prince and Chris know the importance of replenishing their bodies with energy and nutrients for a hard day on and off the court. While striking a balance between the physical demands of sports and maintaining a healthy lifestyle is a challenge in itself, these champions are equipped with the discipline and values brought by years of training at home. For years, these MILO champs have looked to their mothers for guidance before taking on the challenges ahead. To prove that the best athletes are not born but raised, Mozzy Ravena, Olive Carlos, and Lianne Tiu share their role in developing their sons’ athletic prowess. “Whenever people tell us that Kiefer owes his champion genes from us, we get flattered of course. But as much as we could, we try to tell them that more than genes, it’s the champion habits and values we have instilled in him since he was little,” said his mom Mozzy. “The most basic and most important of these champion habits is the discipline of eating a healthy breakfast every morning. It energizes him to start early and accomplish more.” Kiefer has bested athletes from other institutions in the UAAP Junior and College hoop play-offs and has won multiple awards in the MILO sponsored SBP-Passarelle Twin Tournaments. Coaches and fellow athletes admire the 19-year old for his determination to be better in every level of the sport. 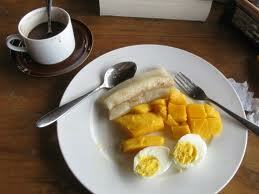 Like Kiefer, Prince also starts his day strong. “When he was younger, my husband and I promised ourselves that we would let Prince enjoy his childhood to the fullest. We would let him indulge in whatever activity he wants on the condition that it doesn’t interfere with homework and review. Eventually, Prince’s interest shifted to basketball, so we enrolled him in the MILO sponsored BEST Center Basketball Clinic,” said Prince’s mom Olive. “To give him enough energy to make the most of his day, I’d always serve him a tall glass of MILO with a hearty breakfast set before he takes off for school and training.” The young athlete has displayed his potential at the country’s most prominent annual interschool league for elementary and high school basketball players, the MILO sponsored SBP-Passarelle Twin Tournament, as a key player of De La Salle Zobel’s basketball varsity team. While competing in various leagues, 12-year old Prince also maintains an exemplary performance at school. According to the Asian Food Information Center (AFIC), eating breakfast is associated with an improvement in both physical and mental performance. Filipinos should understand that taking a full and balanced breakfast before heading to school or to work is essential in replenishing the body and the mind after a long night without food and sustenance. This year, MILO reinforces its commitment to overall health and wellness by launching a new campaign rooted on the benefits of a well-balanced breakfast. Studies have shown that starting the day with a balanced breakfast has a positive impact on alertness, concentration, and helps establish a positive attitude towards different activities. Breakfast also sustains the body with lasting energy, reduces cholesterol levels, speeds metabolism and reduces the risk of weight gain and obesity. 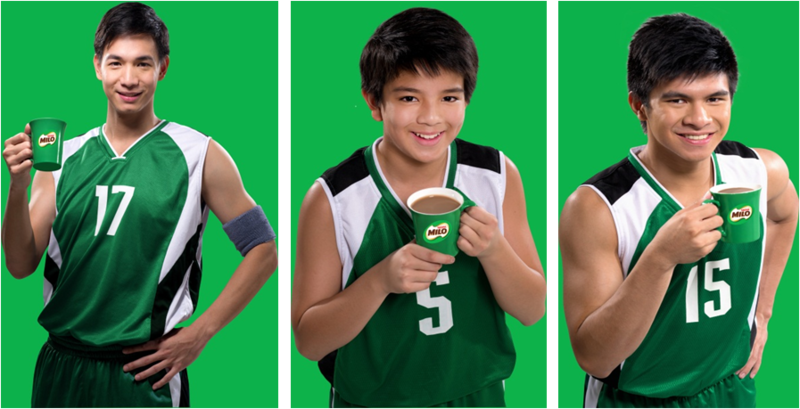 For 49 years, leading chocolate malt beverage brand MILO has championed wellness for every Filipino family and established itself as a trusted partner for holistic development. To reaffirm its commitment to promoting health and fitness, MILO is offering a consumer promotion in line with the breakfast campaign. To give consumers more value for their money and to encourage them to take the path towards wellness, MILO drinkers get 1 canister for free with every purchase of the 1kg MILO Wellness Pack, and 12 sachets of MILO (22g) and 1 sachet for free via the Wellness Bonus Pack. For more information, please log on to the MILO Philippines Facebook page and follow the MILO Twitter account (@MiloPH). Nearly a hundred years after it first started operations in the country, Nestle Philippines, Inc. (NPI) today is a robust and stable organization, proud of its role in bringing the best food and beverage throughout the stages of the Filipino consumers’ lives. The Company employs more than 3,200 men and women nationwide, and is now among the country’s Top 10 Corporations. Driven by its mission to nurture generations of Filipino families, Nestle today produces and markets products under some of the country’s well known brands such as Nescafe, Nido, Milo, Nestea, Maggie, Bear Brand, Nestle and Purina, among others. Its product range has expanded to include coffee, milk, beverages, non-dairy creamer, food, infant nutrition, ice cream and chilled dairy, breakfast cereals, confectionery and pet care.